Greg (PCpackrat) from Smart Computer Store, will see if it’s worth upgrading to Z170! We all know Gigabyte! Recent reports say that they are currently the top seller of motherboards worldwide (with Asus just behind). And, that doesn’t come easy. I have personally been a Gigabyte Fan since the start of the Overclocker’s (OC) Series of motherboards was introduced. I have also used many motherboards from the Ultra Durable Series. That said, I can honestly say that I have never had a single DOA Gigabyte motherboard, or even had to RMA one for any reason. 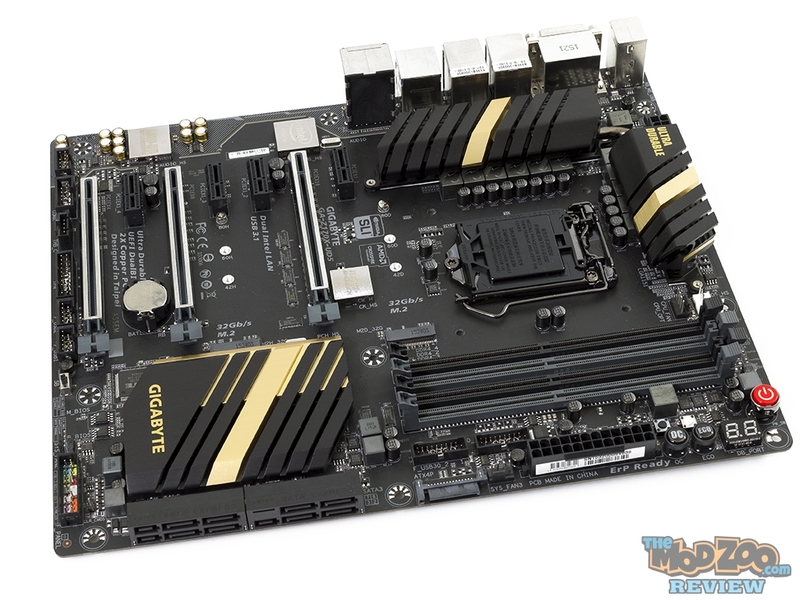 When I buy a Gigabyte motherboard, I am confident that it is well built. * Refer to “1-9 Internal Connectors,” for the supported configurations with the M.2, SATA Express, and SATA connectors. Im curious why it seems you have all the fans blowing out and no intake? I ask because i have the same case and cannot figure out a good intake solution without showing the back ugly end of fans and ruining the look. looks like a pull push in the front?